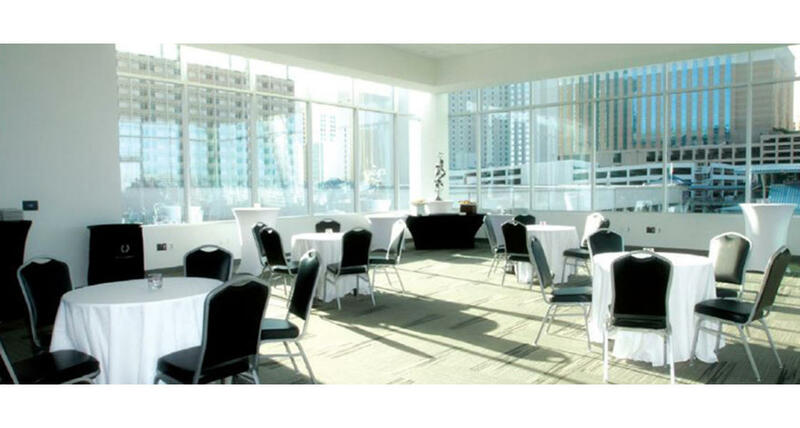 The LINQ Promenade takes conferences, receptions and dinners to all-new levels. The Wheel House is perfectly located on the fifth floor, just steps away from valet parking and High Roller. Up to 500 guests can enjoy the hotel and casino’s 2,500-square-foot meeting space, complete with a full kitchen and two rooftop balconies. Fitting for a variety of needs, this dynamic conference room can transform into three intimate spaces. Entertain your group at The Wheel House, a captivating perspective on Vegas.